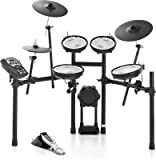 Roland have announced their new line of electronic drums, with the main attraction being the new TD-17 V-Drum series. 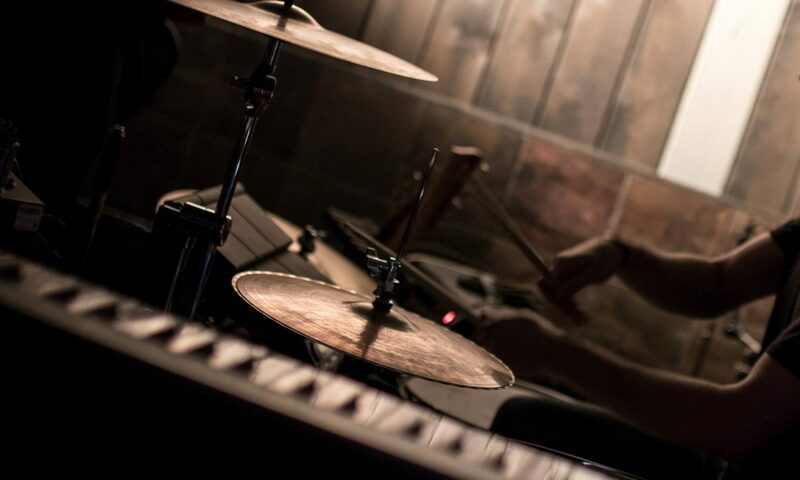 There’s a big focus on realism, connectivity, and some great tools to help drummers improve their skills in new ways. A larger snare drum (12”), with a rim sitting at the same height as an acoustic snare. An improved hi-hat system (with bottom sensor) that mounts to any hi-hat stand. A larger bass drum pad, with built-in noise reduction this is great for apartment drumming). The TD-17 module, based on Roland’s flagship TD-50 sound engine. A coach mode, with drumming exercises to warm up and improve your groove, tempo, timing, and stamina. 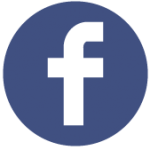 You’ll get a score to monitor improvements over time. Bluetooth connectivity, to play along to your favourite music, videos, and lessons. The TD-17 can even record your performance, so you can listen back to find areas for improvement. Over 70 free Melodics drum lessons with the Windows or Mac application, which connects to the TD-17 module via USB. TD-17KVX – with the full TD-17 module, all mesh pads, and full hi-hat system. TD-17KV – with the full TD-17 module, all mesh pads, and standard hi-hat system. TD-17 KV-L – with the “lite” TD-17L module, all mesh pads, and standard hi-hat system. TD-17KL – with the “lite” TD-17L module, mesh snare, rubber toms, and standard hi-hat system. Check the current prices (and availability) of the different Roland TD-17 versions here. The TD-17 replaces Roland’s TD-11 series with some great upgrades that bring electronic drumming into the future. While the TD-17 is an excellent successor to the TD-11, the TD-11 is still a great midrange electronic kit… If you can’t afford a TD-17, keep an eye out for price reductions on the TD-11 as the TD-17 appears in stores very soon. Roland also announced an expansion of their Noise Eater range yesterday, designed specifically to reduce electronic drum noise. The RDH-100 Noise Eater Single Kick Pedal, RDH-102 Noise Eater Double Kick Pedal, and RDH-120 Noise Eater Hi-Hat Stand will be in stores very soon. Each of these products features Roland’s vibration- and noise-reducing Noise Eater hardware, to cut the sound by up to 50 percent. We covered the Noise Eater addons in our top tips to reduce drum kit volume and noise a few months ago. 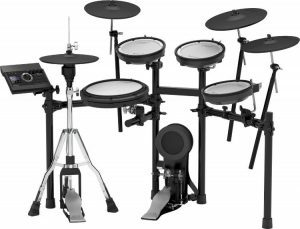 If the TD-17 series is a little outside of your price range, then make sure you take a look at our review of Roland’s TD-1DMK electronic drum kit. The TD-1DMK has all mesh snare and toms, and is perfect for beginners (or as a great quiet practice kit for more advanced drummers). Importantly, it’s also a lot cheaper than the TD-17!